Our eye doctor and staff strive to meet all your eye care needs like offering contact lens exams in Elko. The process includes a comprehensive eye health evaluation and contact lens fitting. Dr. Robert A. Colon, O.D. along with his partners and staff are dedicated to ensuring you get the best eye care possible whether you opt for traditional corrective eyewear or contacts. Our goal is to provide you with vision care tools that fit comfortably into your busy life. Your visit to Total Eyecare will start with a basic contact lens exam in Elko. Our optometrist will determine your visual acuity and whether your vision needs are met. If you have a prescription for corrective lenses, the Elko eye doctor will figure out if it is still right for your current eye needs, as well as screen you for common eye problems that might affect your vision such as glaucoma. Once our eye doctor issues you a prescription, the next step is your contact lens fitting in Elko. Not everyone care wear contact lenses comfortably, so the doctor and staff will help you decide if they are really the optimal choice for your eyes. They will discuss the various types of lenses available, too. For example, you might opt for soft lenses or prefer the rigid gas permeable forms. If you have special lens needs, such as bifocals, we’ll go over your options with you. We’ll talk about the cosmetic side of contacts, as well. You might decide to get tinted lenses for a new look. Part of getting your contact lens in Elko is learning about them. Our Elko optometrist educates you on how to care for the lenses and when to change them out for a fresh pair. We will also discuss the different screening tests were done and your overall eye health and vision needs. The conversation will include what lifestyle changes and other things you should do at home to stay healthy and comfortable in your new contacts lens. At Total Eyecare, we offer a full contact lens 90 day satisfaction guarantee. If you don’t like your lenses or find them uncomfortable, come back to our Elko office for a full refund. We can look at other options or help your find new glasses instead. Schedule Your Appointment for a Contact Lens Evaluation and Fitting in Elko Today! 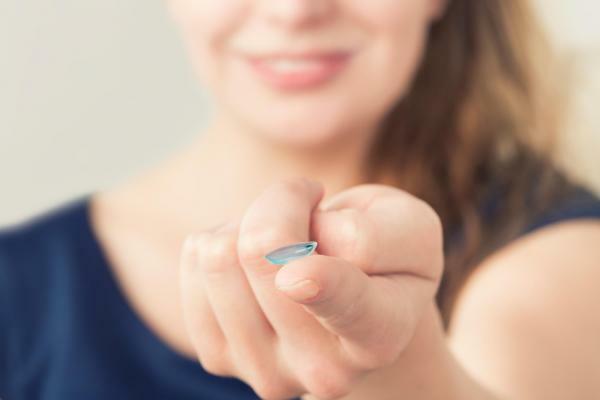 We are ready to help you decide if contact lenses are the right choice for you. Give our office a call at 775-738-8491 or go online to schedule an appointment with one of our Elko eye doctors today. Why wait when you could be enjoying new contacts right away.